The 2017–18 Ligue 1 season was the 80th season since its establishment. The season started on 4 August 2017 and ended on 19 May 2018. Monaco were the defending champions. On 15 April, Paris Saint-Germain won their seventh Ligue 1 title with five games to spare after a 7–1 win over Monaco. Twenty teams competed in the league, with three promoted teams from Ligue 2: Strasbourg (Ligue 2 champions), Amiens (Ligue 2 runner-up) and Troyes (winner of the relegation play-off against Lorient), replacing the three relegated teams from the 2016–17 Ligue 1 season: Bastia (finished 20th), Nancy (finished 19th) and Lorient (lost the relegation play-off against Troyes). 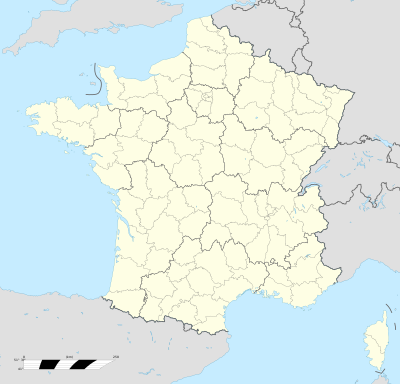 ^ a b Since the winners of the 2017–18 Coupe de France and the 2017–18 Coupe de la Ligue, Paris Saint-Germain, qualified for European competition based on league position, the spot awarded to the Coupe de France winners (Europa League group stage) was passed to the fourth-placed team and the spot awarded to the Coupe de la Ligue winners (Europa League third qualifying round) was passed to the sixth-placed team. The fifth-placed team received the spot in Europa League third qualifying round originally designated to the fourth-placed team. For upcoming matches, an "a" indicates there is an article about the match. The table lists the positions of teams after completion of each round. In order to preserve chronological evolvements, any postponed matches are not included in the round at which they were originally scheduled, but added to the full round they were played immediately afterwards. For example, if a match is scheduled for matchday 13, but then postponed and played between days 16 and 17, it will be added to the standings for day 16. The 2017–18 season ended with a relegation play-off between the 18th-placed Ligue 1 team, Toulouse and the winner of the semifinal of the Ligue 2 play-off, Ajaccio, on a two-legged confrontation. The first match, which was supposed to be held in Ajaccio, took place behind closed doors in Montpellier. Toulouse won 4–0 on aggregate and therefore both clubs remained in their respective leagues. ^ a b "French Ligue 1 Statistics – LFP". lfp.fr. Retrieved 6 August 2017. ^ a b c d "French Ligue 1 Statistics – ESPN FC". espnfc.com. Retrieved 4 August 2017. ^ a b "Ligue1.com - French Football League - Ligue 1 Conforama - Attendances". www.ligue1.com. ^ "Calendrier/Résultats". lfp.fr. Retrieved 15 July 2017. ^ "PSG 7 Monaco 1". BBC Sport. 15 April 2018. Retrieved 16 April 2018. ^ "Christophe Galtier va quitter Saint-Etienne à la fin de la saison". lequipe.fr. 1 May 2017. Retrieved 7 May 2017. ^ "[OFFICIEL] Oscar Garcia nouvel entraîneur". 15 June 2017. Retrieved 15 June 2017. ^ a b "Marcelo Bielsa to manage Lille in 2017-18 season". bbc.co.uk. 19 February 2017. Retrieved 7 May 2017. ^ "Jean-Louis Gasset confirme son départ de Montpellier". lequipe.fr. 12 May 2017. Retrieved 14 May 2017. ^ "Montpellier : Michel Der Zakarian a signé comme prévu". lequipe.fr. 23 May 2017. Retrieved 25 May 2017. ^ "Nantes coach Sérgio Conceição leaves the Ligue 1 soccer club after reaching agreement with Porto". eurosport.co.uk. 6 June 2017. Retrieved 6 June 2017. ^ "Feu vert pour Claudio Ranieri, nouvel entraîneur du FC Nantes". lequipe.fr. 13 June 2017. Retrieved 13 June 2017. ^ "Philippe Hinschberger dismissed by Metz after 'catastrophic' Ligue 1 run". espn.com. 22 October 2017. Retrieved 30 October 2017. ^ "Le FC Metz nomme Frédéric Hantz au poste d'entraîneur". eurosport.fr (in French). 29 October 2017. Retrieved 30 October 2017. ^ "Rennes: À peine intronisé, Létang se sépare de Gourcuff". Le Figaro. 8 November 2017. Retrieved 8 November 2017. ^ "Rennes : Sabri Lamouchi va succéder à Christian Gourcuff". L'Équipe.fr (in French). 8 November 2017. Retrieved 8 November 2017. ^ "Saint-Etienne : Oscar Garcia quitte le club (officiel)". lequipe.fr. 15 November 2017. Retrieved 15 November 2017. ^ "Contrat rompu entre le LOSC et Marcelo Bielsa - Lille LOSC". www.losc.fr. ^ "Galtier officiellement présenté à Lille : "Je suis très heureux de faire partie de ce club"". Le Figaro. 29 December 2017. Retrieved 30 December 2017. ^ "Saint-Étienne : Jean-Louis Gasset nouvel entraîneur". L'Équipe. 20 December 2017. Retrieved 21 December 2017. ^ "Bordeaux : c'est fini pour Jocelyn Gourvennec". L'Équipe. 18 January 2018. Retrieved 18 January 2018. ^ "Gustavo Poyet nommé entraîneur de Bordeaux". L'Équipe. 20 January 2018. Retrieved 20 January 2018. ^ "Pascal Dupraz n'est plus l'entraîneur de Toulouse". L'Équipe. 22 January 2018. Retrieved 22 January 2018. ^ "League Table". Ligue1.com. Retrieved 12 August 2016. ^ "Ajaccio forfeit home field against Toulouse in Ligue 1 promotion playoff". ESPN. 23 May 2018. Retrieved 23 May 2018. ^ Closed stadium's stands for spectators. ^ "French Ligue 1 Statistics – LFP". lfp.fr. Retrieved 3 November 2017. ^ "Statistical Leaders – 2017–18". FOX Sports. Retrieved 6 August 2017. This page was last edited on 22 March 2019, at 01:43 (UTC).